Call-410-663-5089 to schedule a FREE 15 minute phone consultation! Soul-utions Hypnosis holds a vision for our clients – that they restore balance to their life and reclaim their joy and vitality for living. 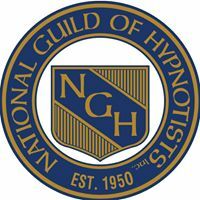 We empower our clients to do this through a series of hypnosis sessions that may also include Reiki, aromatherapy and the Emotional Freedom technique (EFT). We are client centered and personalize each session according to your personal needs. Ultimately, we are a guide to help you tap into your own inner wisdom to so you can release your body’s innate ability to heal. This holistic approach is not a substitute for conventional medicinal care. We provide complimentary programs and may consult with your primary care provider. Sign up for our email series on Smoking Cessation. It’s FREE!